An Alaskan man makes caribou stew. Twenty-six miles above the Arctic Circle, in Kotzebue, Alaska, there&apos;s a plain white metal trailer in the center of town that blends in with the snowy tundra during the winter. 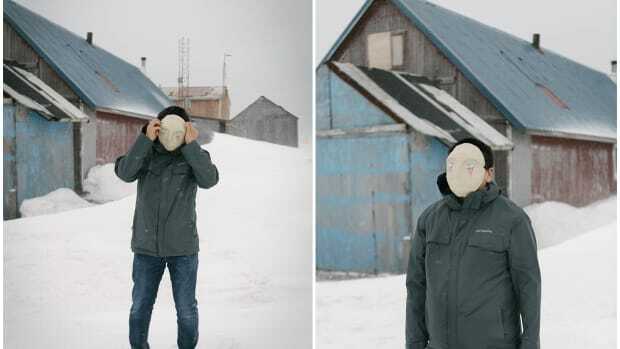 From the outside, it looks like an office or a perhaps a single-family home, but it&apos;s actually a modern-day ice-cellar, or Siglauq, where hunters from across Inuit villages throughout northern Alaska can donate meat to be inspected, packaged, and served in the northernmost nursing home in the United States. "The main source of meat that we have is caribou," says Cyrus Harris, who is in charge of the Siglauq. Harris can slice and prepare caribou, moose, muskot, tarmigon, you name it, almost with his eyes closed. The Alaska native has been hunting for as long as he can remember, providing meals for himself and his family by learning the patterns of the tundra and the animals that make it their home. 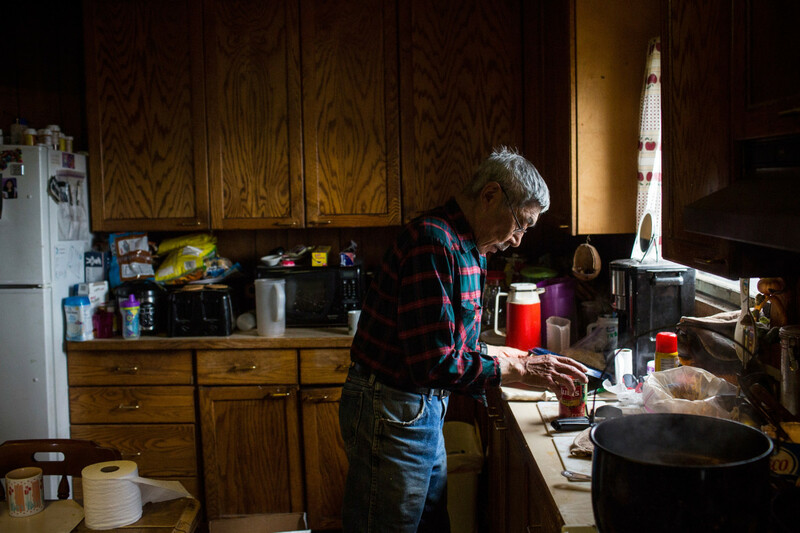 He inspects all of the food that goes through the Siglauq, making sure it&apos;s safe to be offered in the nursing home, called the "Utuqqanaat-Inaat" by the Inupiat Eskimo people. Securing access to traditional foods for Kotzebue&apos;s elders has been a difficult process, but the effects on the individuals in the facility are noticeable and significant. Not only does the meat serve as an important source of fat to help them maintain a healthy body weight and remain mobile, but the taste of familiar foods brings the elders comfort. "I see the difference that it&apos;s made for the elders," Harris says. "They are much happier, they communicate better, they&apos;re moving around better." By making an effort to bring native foods and the soothing smells and tastes that come with them into the long-term care facility, the community of Kotzebue is practicing a unique model of medical care called "person-centered care." This approach takes into account people&apos;s own values, preferences, and experiences as part of their health-care program. "[The Hunter Support Program] is a beautiful example of person-centered care," says Laura Mosqueda, dean of the Keck School of Medicine at the University of Southern California. Mosqueda specializes in family medicine and elderly neglect and abuse. In 2015, she and her team released a study in partnership with the American Geriatrics Society solidifying a definition for person-centered care that can be used as a starting point to measure the effects of it, which have so far proved encouragingly positive. In a review of 17 studies pooling data from more than a thousand patients at different nursing homes across the country, two specialists, Sun Kyung Kim and Myonghwa Park, found that person-centered care reduces agitation, symptoms of depression, and improves the overall quality of a patient&apos;s life. "[The goal is] to take a holistic approach, to understand that a person is not just their blood pressure number or, you know, some metric that we can measure, but that those metrics and organ systems, etc. are attached to someone," Mosqueda explains. 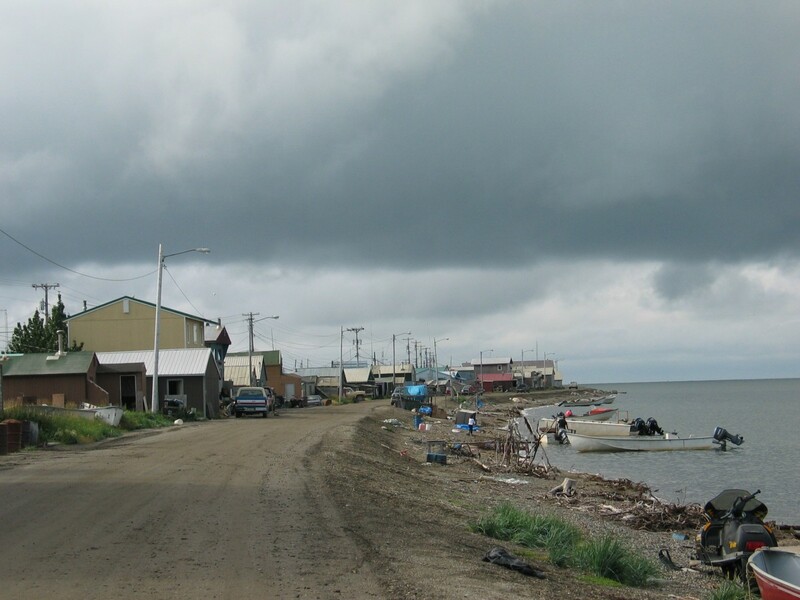 For the town of Kotzebue, the push for traditional food in the nursing home began in 1993 when Harris founded the Hunter Support Program, a group that convinced the federal government to allow funds allocated for food in long-term care facilities to be used to buy fuel and ammunition for hunting instead. However, not long after the program started, Harris experienced an unexpected roadblock. 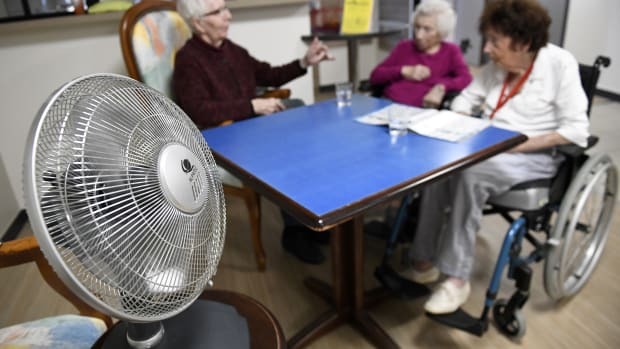 Nursing homes are generally prohibited from serving food that is not obtained from an approved federal, state, or local source. Because traditional Inupiat foods are wild, they are difficult to categorize with U.S. Department of Agriculture guidelines and often violate standards for long-term care facilities. 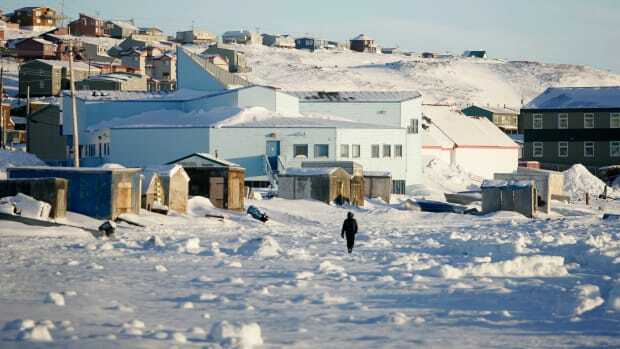 In the case of the Utuqqanaat-Inaat, any meat that hunters brought in was not legally permitted to be served, so the federal government retracted their funding for the program. But Harris was determined to find a way to keep the Hunter Support Program alive. He and the community found a loophole in the system by hosting monthly potlucks, or "niqipaqs" (translation: traditional food), where they could offer restricted dishes as gifts to the elders: Baked salmon, steaming caribou, sheefish, and tart wild berries lined long makeshift tables in the Utuqqanaat-Inaat on the first of each month. 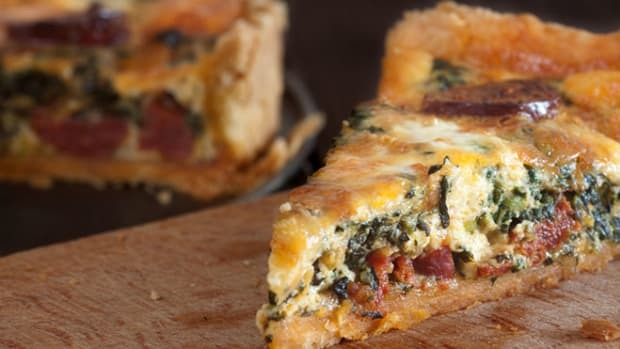 For years, they&apos;d hunt and prepare food to serve to the elders once a month and watch how just a small taste of familiar foods changed their overall attitudes toward life. The results were so hard to ignore that, in 2000, the Maniilaq Association, a non-profit that provides health and social services to 12 tribes in the northwest of Alaska, adopted the program and has been supporting and expanding it for the past 18 years. At first, the association provided funds to keep the Hunter Support Program running, but when Valedeko Kreil arrived as an administrator in 2013, he began working toward finding a way for traditional foods to be inspected and approved so they could be on the menu each day, rather than relying on monthly potlucks. Kreil and Harris partnered with Chris Dankmeyer, the environmental health manager at the Maniilaq Association, as well as Alaska&apos;s Department of Environmental Conservation and Social Services to design a plan for a processing center that could evaluate the meat and approve it. The plan eventually evolved into the construction of the Siglauq. But the Maniilaq Association wasn&apos;t the only group that understood the value of native foods for elderly. Ted Mala, an internal medicine physician, was also pushing for the same foods to be allowed in the Anchorage hospital. With a combined effort between the two, along with cooperation and support from Alaska senators, an amendment titled "Service of Traditional Foods in Public Facilities," was passed on February 7th, 2014, changing everything for the elders of Kotzebue and for many other Alaska natives. It was the first time that the U.S. government acknowledged traditional foods as a necessary part of the food system. 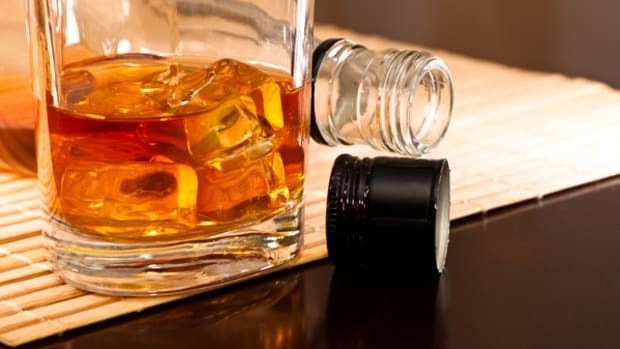 A year later, the facility received a permit to serve food inspected, processed, and packaged inside the modern-day ice-cellar in the long-term care facility&apos;s kitchens. 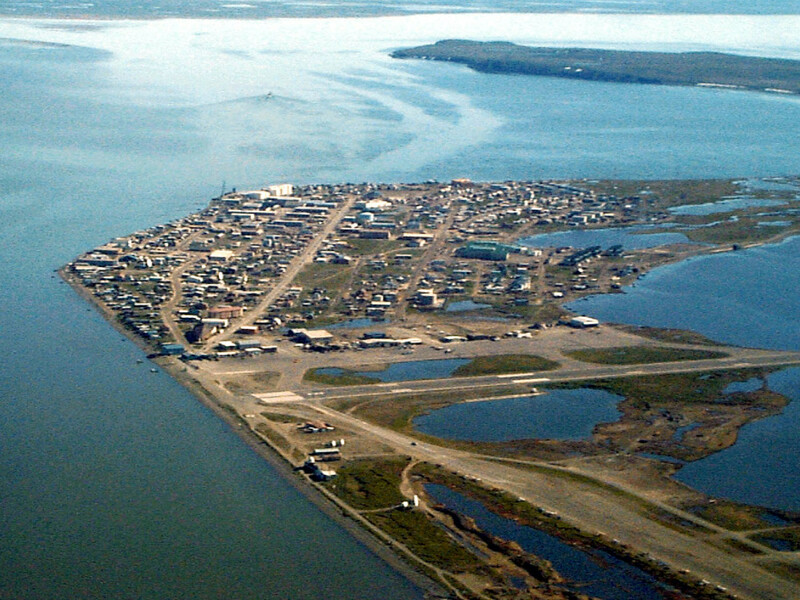 An aerial view of Kotzebue, Alaska. In Kotzebue, the dedication to traditional foods represents more than a link to the past. The meat, berries, and fish are engrained with their culture, in which there&apos;s an element of respect for older generations. When members of the community learn to hunt, they&apos;re taught to share their first caribou with an elder instead of keeping it for themselves. Kotzebue is the kind of community willing to have conversations with those in the long-term care to see what they are missing, what they need more of, and what could bring them comfort in their last years of life. "We have all of these people that the community loves," Kreil says. He&apos;s worked in geriatric care for over 35 years and has never seen anything else like Kotzebue&apos;s long-term care program. "I wish I knew how to translate [respect] to the lower 48." But Harris, Kreil, and Dankemeyer aren&apos;t done yet. Next on their list of foods they&apos;d like to see approved for the long-term care facility is seal oil. Seal oil is essentially seal blubber that&apos;s cut up into chunks and broken down over time. In Kotzebue, seal oil is like salt and pepper, you can find it on every table whether to preserve foods, dip raw meat in for flavor, or for cooking. But it&apos;s currently restricted to be served in elderly care facilities because of concerns that it may cause botulism. Kreil is currently working with researchers at labs in Wisconsin and Alaska to create a testing mechanism that will allow seal oil to be served in the facilities. They&apos;re hoping for new results to come in this summer. "There&apos;s a good chance I might end up in the long-term care, you know?" Harris admits. "So how am I going to be able to live in a facility where I&apos;m restricted from having my seal oil?"